Charleston, S.C., is a small city that has taken a big share of travel dollars in recent years -- a destination prized for its ability to please just about everyone in the family. But don't let the locals hear you calling their city "small." It was recently declared the state's largest city, edging the capital of Columbia by a handful of people. Charleston has become a favorite destination because it has rich history, interesting architecture, great food, and magnificent plantations. But perhaps overlooked by many who value these attributes is the fact that Charleston is also a fun beach town, with five Atlantic Ocean beaches spread across the metro area. And with summer close at hand, that's definitely worth exploring. 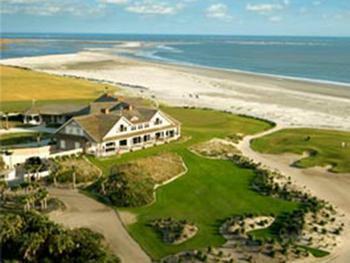 Kiawah Island is just 21 miles from downtown Charleston, but offer visitors 10 miles of pristine beach. Besides relaxing on the sand, golfers can play on the island's five championship golf courses. Folly Beach is located between the ocean and the Folly River and has a very laid-back vibe. You can try your hand at surfing or enjoy the natural surroundings, inhabited by loggerhead turtles, dolphins, bald eagles, sea birds, several endangered species. Isle of Palms presents itself as a beach that is family-couple-single-senior friendly. In other words, there's something here for everyone. It's a sprawling beach community covering 2,880 acres, just 12 miles from downtown Charleston. A bit further out is Seabrook Island, which offers an eclectic assortment of activities, including horseback riding on the beach. Besides the beach, visitors are also drawn by the island's maritime forests and marshes. Sullivan's Island offers wide beaches and watersports, with a little history thrown in, since it's the site of a Revolutionary War fort that protected the city from the British. At the end of June Sullivan Island joins the rest of the state in celebrating Carolina Day, marking the successful defeat of British land and naval forces by the colonists on June 28, 1776. Of course, Charleston has another place in American history. It's where the Civil War began in April 1861. When South Carolina seceded from the Union, it demanded that the U.S. Army give up Fort Sumter, in Charleston Harbor. When the fort's commander refused, Confederate batteries in Charleston began bombarding the fort. Today, Fort Sumter is open for tours that are guided by park rangers. The cruise out to the fort also provides nice views of Charleston’s stately Rainbow Row and historic, stately homes in the Battery. The official Charleston tourism site has plenty of other things to do. African American cultural sites have also become a more important tourist draw throughout the South, and the South Carolina African American Heritage Commission has just launched a mobile app to help visitors find and connect with more than 300 cultural sites in and around Charleston, and throughout the state. "This is one of the first statewide mobile travel guides to African American cultural destinations to be produced by a state anywhere in the U.S.," said South Carolina Senator Vincent Sheheen. "It is positioned to increase even further the $2.4 billion annual economic impact of African American tourism in our state." Called The Green Book of South Carolina, the free app is a travel planning tool for a large number of tourist destinations around the state. It features maps, available tours, and news about special events. Charleston International Airport is served by major airlines, including Delta, United, Southwest, JetBlue, and American. It has regular flights to and from New York, Houston, and Chicago, and other major cities. Visitors can also arrive by train, with a North Charleston Amtrak station serving the Silver Service/Palmetto route.